Jaded Blossom: Guest Designer ~ Jen! Hello gardeners & blossoms! Today is my last day as a guest designer for Jaded Blossom. It's bittersweet for me because I've had such a wonderful experience. Now it's time for me to focus on graduating in two weeks. I don't talk about my mom much, but I get my craftiness from her and I love that she's so loving and giving. She's always thinking of others and showing her appreciation for her co-workers. My mom is a hero, she is a nurse. An LPN (she says it stands for Low Paid Nurse) She's pretty funny too! Nurse's Day is on Friday, May 6th and I wanted to show how much I appreciate her and her profession. 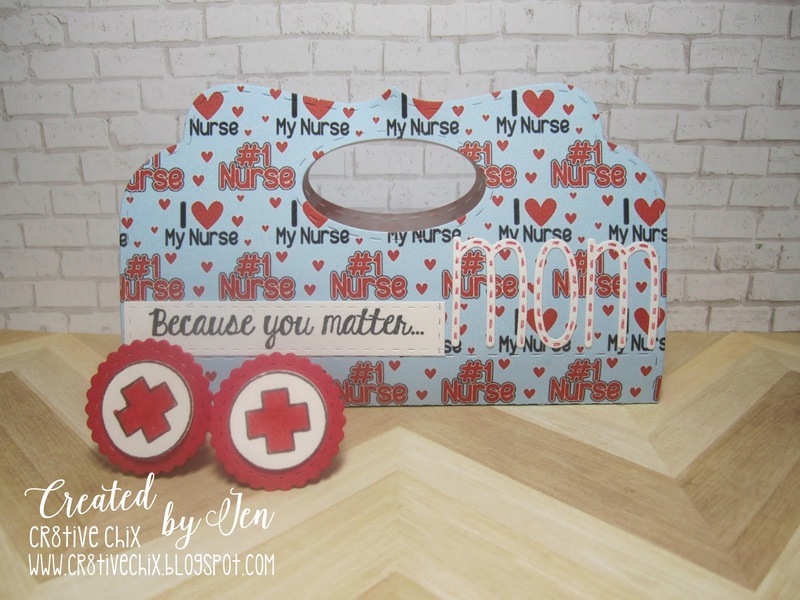 Recipe: Jaded Blossom: Candy Caddy, Alphabet Dies, Border Dies, Candy Charms & Banners, Love & Kindness, After School Programs Thank you so much for your positive comments this month! Stay tuned as I venture back into scrapbooking some upcoming major events!